If you are an avid MMORPG lover, then you have most likely played one or several games developed by NCSOFT which has been around for more than two decades. They are most popularly known for highly successful and very influential titles like Lineage, Guild Wars, City of Heroes, Aion, and a host of other games. NCSOFT Games, which is the mobile gaming arm of NCSOFT West, recently brought Aion to mobile devices in the form of Aion: Legions of Wa. The game’s recent global launch have been nothing short of being successful. 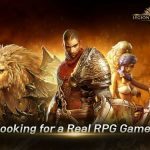 Aion: Legions of War boasts top-notch graphics that outclasses a lot RPGs on mobile and can even be comparable to some console games. There are tons of content to engage in and the various unique elements that make enhancement and customization options for the heroes you collect and use makes way for a wide variety of tactical options in battle. 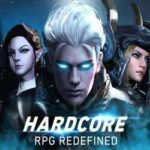 Aion: Legions of War is clearly not just for fans of its previous incarnations as any Strategy RPG player as well as newbies to the genre will surely be captivated by what this game has to offer. 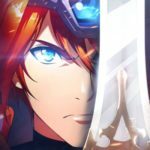 If you haven’t tried playing Aion: Legions of War or any of its incarnations before, be sure to try the game out as it clearly has a lot to offer with both the substance and content that it has. Aion: Legions of War sets you up as a commander of your legion and its main campaign story focuses on the quests involving Ren, your first character, as he ventures into the Abyss to follow Candor, his half-brother and commander, to stop an impending outbreak of dark forces that puts Atreia, their planet in jeopardy. It’s a long and challenging journey but you will hardly be traversing all of it on your own as there are some heroes who will join you in your crusade early on and tons more can be summoned through several means. As there are more than 100 characters available, and you will have a lot soon enough, the challenge lies in in forming a strong enough team to battle through many of the game’s challenging levels. There are various ways and means of strengthening each character but Aion: Legions of War is not all about power. Careful selection of team members utilizing elemental affinities and roles are of utmost necessity. Likewise, having a keen sense of timing and tactical planning is very important in actual battles. With the interrupt mechanic which is hardly present in any other RPG, mastering elemental advantages and disadvantages as well as properly timing skill usage and combination attacks can go a long way even against more powerful enemies. There are definitely more complex systems and features available in Aion: Legions of War compared to most RPGs in its class but don’t be easily intimated by any of it since tutorials will always be available to guide you on the basic concepts you need to understand. There’s a lot of information to swallow in but information about what you need to know and understand can be easily found within each structure or icon you click on. With that said, we present you our Aion: Legions of War guide that comes with a number of useful tips, cheats and strategies. As a standard mechanic in any strategy RPG, Aion: Legions of War also sports the usual character classes necessary for you to create an effective team in battle. As the first five characters you will have on your team more or less represents these important classes, be sure to take note of each ones roles and if it comes to a point where you need to replace some members of your team, make sure to keep the balance of classes and roles intact. As some classes are best for offense while others focus more on defense, having a good mix of available classes is key to winning battles. For starters, be sure to have a Templar that can serve as a Tank for your entire party. Along with Gladiators or Assassins, these classes are at the frontlines of every battle that takes most of the damage for the team. Gladiators and Assassins are great for close combat melee damage. While Assassins may provide higher DPS, Gladiators typically possess higher HP and defense. On the rear end of the party, clerics are of utmost importance to guard every team member’s HP and provide other means of support to strengthen the party. Sorcerers and Rangers offer ranged combat DPS with the former banking on magic damage while the latter is exclusively physical in nature. Songweavers are also goo d to have for their support skills. As there are a variety of combinations to make, there is no such thing as a perfect team suitable across all situations. Depending on your needs as well as your preferences and play style, you can pretty much experiment and work with what best suits you. As far as basic go though, tanks and healers are always necessary and DPS is where you typically mix and match. Yet another common Strategy RPG mechanic present in Aion: Legions of War as well as most games of its kind is the elemental affinity system. It follows the rock-paper-scissors gameplay with the 3 basic elements being strong against one element and weak against the other. Water is strong against fire and weak against wood, and so on. Light and Dark are special elements not particularly strong or weak against the basic elements but contradict one another in the battlefield. As you may initially have your first team modestly representing a variety of elements, try to maintain that balance even after switching heroes in and out of your main team. It’s a bit of the challenge most especially if the strongest heroes you acquire all bear the same element but at least, don’t form a team with 3 heroes having the same elemental affinity as it will surely be a potential cause of defeat in battle. On top of damage and defense modifiers granted by affinities based on elements, heroes with weak elemental affinity against an opponent may also miss to hit his or her target. With the status affliction “Glancing”, targeting an enemy your element is weak against can cause further disadvantage as your skills and attacks may miss. Be sure to consider Leader Skills as well as these are not always available on some heroes. Leader Skills offer a buff that affects your entire party and it offers a lot of advantage in battle so be sure to check on it as you decide which from among the roster of heroes you have will join your main team. Looking into what each every hero can do is also of utmost importance. Classes are one thing but remember as well that each hero sports a unique set of skills and abilities and while some are readily available, it will take a while to unlock the rest and one of the most important things you should consider is how strong will your chosen hero become to determine if you should invest resources on him or her or not. It’s going to be a challenge to have good heroes outright despite having several confinites you will receive from events and missions. Don’t rush into developing characters you aren’t sure of and wait until you have 800 gems to do a 10x hero summon. As you will hardly have 4 star or higher class heroes prior to this you should have plenty more choices to work with once are able to do the 10x summon. Additionally, take a good peak of the heroes you get from summonite shards as well as rare confinites as these may include heroes that are otherwise difficult to acquire. The basic game mode in Aion: Legions of War is the Campaign which is where you will dive in first as you start to play the game. Perhaps you will continue on straight with its progression until you acquire your first five heroes which will complete your starting team. As more and more features and game mode become available, you may find yourself straying a bit from it as you explore the game’s other features. Once you seep through the stuff you have just unlocked, be sure to try and focus on completing available stages in the story campaign as this is where you can obtain the most basic necessities you need to enhance your heroes as well as other rewards which are important for overall game progression. The experience points you get form story missions are pretty much worth it too and there are various other milestone rewards to claim that are best to have as early as possible. The relative increase in difficulty of story missions will make it difficult for you to accomplish soon enough and while you may be enticed to always utilize auto battles, be sure to take the manual approach when you are experiencing trouble in some of the more challenging battles. Power levels are mostly influential in how much possible it is for you to beat a particular stage but it isn’t everything. When you fail to finish a mission despite best effort, that would be the time to power up your heroes in the Advancement Sanctum. You will definitely need to enhance and upgrade your heroes to stand a chance against the growing difficulty of battles that await you as you try to progress further in Aion: Legions of War. The numerous hero enhancement and upgrade options you can perform through the Advancement Sanctum as well as the variety of gears you can equip on each hero can tremendously increase their stats and their effectiveness in battle. While basic enhancement which levels up heroes and early stages of evolution may not require as much resources, higher star level evolutions and hero awakenings won’t come cheap so be sure to save the more important resources on better heroes you can get as well as low star-ranked ones whom you are certain will be useful for you in the long run. As Enhancement levels heroes up at the cost of sacrificing other characters, you may want to save some up for later especially considering that you can gain experience points for your team in battle as well as through other means. Be sure to use the Evolution Ginsengs you gave acquired on your adventure as these will boost the level of your heroes faster than other ingredients. Evolutions come at a higher price the higher the star rank of your hero goes. Yo need to sacrifice two 2-star characters to evolve a max level 2-star hero and for 3-star heroes going to 4 star rank, three s-star characters need to be used. As such you may want to save this type of empowerment only to a select few as we mentioned earlier. Evolution requires a lot of materials as well and it will certainly take a lot of time and dedication to gather the necessary items to have enough even for just you top 5 characters. You may want to save this option for when you are absolutely certain that you will use hero candidate for a long time. Aion: Legions of War offers a variety of gears you can equip your heroes with but to some extent, it’s not as simple compared with typical strategy RPGs. For one, once a piece of equipment has been assigned to your hero, choosing a better gear later on destroys the already equipped item. As such, you must take a bit of precaution especially since you will easily find better pieces of equipment on the early stages of your game. If you want to keep the equipped item and save it from being sacrificed, you need to spend gold and the amount varies on the stats and rank of the equipment. Given this scenario, be sure to think thoroughly before switching gears most especially the boost it gives relative to the cost of saving or losing the already equipped item. Be sure to take note of set effects with every piece of equipment. As to pieces of an equipment having the same set effects will activate the additional stats it provides, be sure to select gears for each hero following pairs. Despite some seemingly better equipment you can acquire that may provide a little boost in stats outright, ensuring that you trigger set effects can give your hero a bigger boost in power and efficiency. Each piece of equipment can be enhanced as well with the use of gold but considering what we have discussed relative to equipment and costs attributable to removing some later on, you may want to save enhancements for higher rarity ones equipped on heroes you plan on using for a long time. Again, this may take a while but remember that strategy games, Aion: Legions of War included, heavily require patience and dedication to reap much better rewards later on. As every multiplayer game has friend systems in place to make it more interactive and lively, it has been a common part of strategy game to encourage you to add more friends for important perks. In Aion: Legions of War, having friends means having more opportunities to receive social coins. You can use social coins to summon 1 to 3-star heroes from the Hero Portal and if you have played strategy RPGs before, then you know you can never have more than enough of these highly valuable resources. BE sure to retain active friends and keep the numbers maxed out as much as possible. Remember to send coins daily too as you will ceaselessly receive the same gifts from your friends. On a larger and more important representation of virtual camaraderie, guilds, which has become a well-established social institution in online strategy games and RPGs, obviates the question of whether or not you should join one. You definitely should and the sooner you can find an active enough guild with a vacant slot, the better. The guilds in Aion: Legions of War offer a lot of advantages for each member and perhaps one of the best ones you can notice outright is being able to request for shards of some heroes you want to summon. 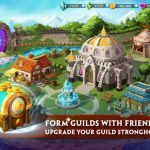 Be sure to support your fellow guild members with their need too to maintain a helpful and supportive aura within your guild as well as earn guild coins that you can use to purchase some rare items. Participate in guild dungeon battles as well and don’t worry if you keep losing the fight as it is a team effort and you can still receive rewards if you r guild doesn’t manage to defeat the dungeon enemy. Also, check the guild buffs you can purchase to give your team a good set of temporary boosts in battle. Remember to do this only when you are certain that you can make the most out of it since these buffs don’t come cheap. There are daily, weekly, and monthly quests as well as achievements available in Aion: Legions of War that offers plenty of rewards that you can earn depending on the time you can commit and your dedication to the game. Although it may take a while to unlock weekly and monthly quests, strive to maximize the use of your energy to gain as much legion experience as you can to open up more reward sources at the soonest possible time. Quests and achievements all involve participation in activities you would normally go through while playing the game so to be sure, visit the Quest Icon at the lower right side of your screen to see objectives you have yet to meet and strive to achieve as many of it as you can. Your Gold Mine and Aether Mine continuously generate two of the most basic resources you constantly need for enhancing your heroes and equipment. Upgrading these facilities require a certain level but what’s important even at the early part of your game is to ensure that you always harvest the gold and aether generated and not leave either mines full for an extended period of time. With regard to the barracks, the expedition allows you to send a team of heroes, even the ones you are using into battle on a separate time-bound run into some ruins with the hopes of acquiring rare treasures. Regardless of the items you get out of it, the experience your heroes can acquire out of it, even if you are offline is a good enough incentive. With auto battle making easy battles even easier, you may get easily accustomed to relying on it as your progress through the main adventure stages as well as dungeon battles. As difficulty levels in the game stretch higher a little faster than the usual, engaging challenges with auto battle turned on may lead to a lot of losses sooner than you anticipate. As auto battle practically leaves the A.I. with much less strategy than you if you play the game long enough, even battles that require power levels close to what you have can become a challenge. In case you do want to subscribe to the use of auto battles on stages that are easy pickings, at least consider the most appropriate approach by clocking on the tactic icon at the right side of the menu before the actual stage. If you afford to really dedicate some time into mastering manual battles though, you can progress a lot faster in the game. With Aion: Legions of War “Interrupt” system, it becomes very advantageous for manual play to beat much tougher opponents. To do so, save your skills for when the enemy is about to launch his or her skill and time your skill’s activation just right to hit and possibly interrupt their attack. This will cancel out their skill and put them at a huge disadvantage. Although interrupts can be performed by your team on auto battle as a result of luck, it will always be best to aim for this tactic instead of leaving it to chance. As progression of difficulty in battles through the adventure and dungeons of Aion: Legions of War seems to run faster than in most strategy RPGs, there are sidekicks than more than make up for it which can make an otherwise impossible to beat stage several folds easier. Including sidekicks in your roster of heroes before each battle gives you an extra hero to join you in battle if one of your characters gets knocked out. For starters, there are four super powerful heroes you can use as sidekicks and you can use one your friend’s heroes as well. This is one more important reasons to add more friends, especially higher level ones, as having strong sidekicks in challenging stages can easily turn the tide of battle in your favor. Once a sidekick has been used, there will be a cooldown period so be sure to utilize the strongest ones on the more challenging and important battles like limited dungeon events or stages in adventure mode you need to clear to jumpstart your progress. Likewise, use them only if your power level lags a lot behind the recommended power level of the stage you wish to engage in. Remember that you can beat a difficult stage in the dungeon just once and blitz it up to 5 times to farm for equipment and important resources. And this wraps up our list of Aion: Legions of War tips, cheats and strategies. We hope that this strategy guide has proven to be useful not just for beginners, but for people who have spent some time on the game as well. There are still a lot more secrets and features to be discovered in the game and we will probably be coming up with another guide to cover more intricate aspects of the game later on. Just to be clear again, it won’t be an easy road to consistently raise your heroes power levels in Aion: Legions of War without spending real cash, but considering the plethora of events and in-game rewards available, dedicating some time and effort into playing the game and accomplishing various feats can still make you as strong as the top players. Remember the points and considerations we shared above and work on applying its essence on the rest of the game’s various features and game modes and you will surely be able to overcome the more challenging battle that awaits you. If there are some features or game modes we have left unchecked throughout our guide, or if you know of some useful tips and strategies that ought to be included in this article, be sure to let us know about it and send us a message through the comment section!